So I kind of forgot about these posts but I am back on it! For all of you who wish me luck for my interview, thank you so much! Unfortunately, it wasn't to be, but onwards and upwards eh? Anyway.. I went | Home! I've only been home once, and to be honest, unless I have to go home, I never do. 4 hours, 3 trains and 2 cities definitely ain't worth it! However, I did get to sleep in my new room which I really like (and can't wait to decorate in a few months! ), and I went to the local pub with one of my best friends. It was actually a really lovely night. I bought | V FESTIVAL TICKETS! Can you tell me spending ban is well and truly over? But y'know, I think this is an appropriate time to use YOLO? I think it'll definitely be worth it! Let me know if you're going! 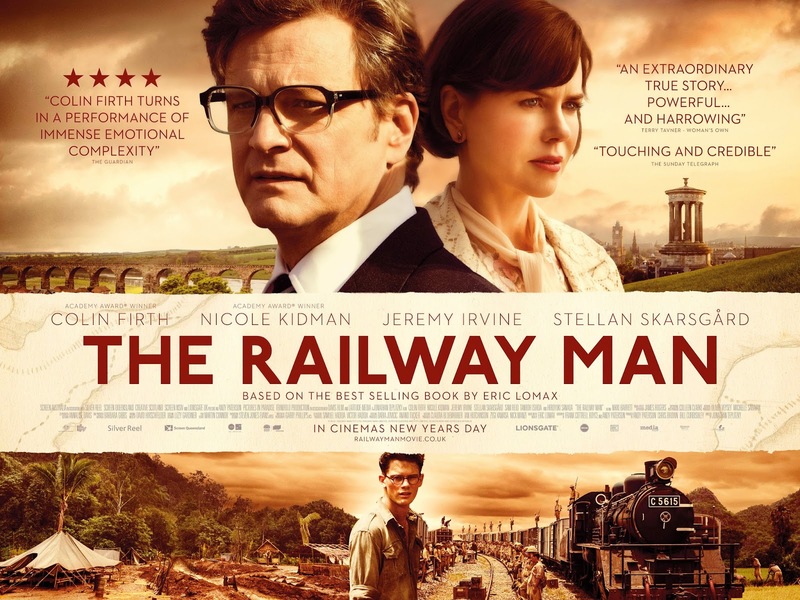 I watched | The Railway Man (and The Theory of Everything another 3 times - watch it if you haven't already!). But yes, the Railway Man was actually really good. I don't know why, but whenever I see a serious looking cover and Colin Firth, I automatically assume it's going to be boring but I'm always so, so wrong! Definitely worth a watch! Well, you are clearly destined for something far more fabulous! ;) I haven't seen either The Railway Man or The Theory of Everything! I need to get on it! Have fun at V! It's not a festival I've ever wanted to go to, but I'm going to Bestival again this year, it's SO good, would recommend it! Theory of Everything was a great movie, still need to watch The Railway Man. Sounds like everything is good with you! Despite the fact that I currently live in a different country, I think my journey home (to Essex, from Germany) might actually be easier than yours! Haha. I've seen so many adverts for The Rosie Effect, definitely need to read it! If you liked The Railway man, you should definitely give Kingsman: The Secret Service a go! It's the best film I've watched this year. I highly recommend it. Sorry to hear about the job interview, but I am sure that it just means something better and more aligned with what you do is bound to come along! I personally actually wish I could go home more often, but home (my parent's house, that is) is an 8 hour plane ride away, so I only get to go 1-2 times a year. Exciting that you have a new room though! And local pub nights are the best! I haven't heard of "The Rosie Project," but I am going to look into it! I am taking a trip soon, so maybe I will download it for my kindle. I don't know anything about V Festival but have fun! an this film looks interesting - adding it to my list of things to watch! I really want to watch the railway man, it looks amazing! I'm looking for a new book so I'll have to check it out- and the movie looks good too!